1. Denny, M.W., Life in the maelstrom — the biomechanics of wave-swept rocky shores, Trends Ecol. Evol., 2, 61, 1987. 2. Armstrong, S.L., Mechanical properties of the tissues of the brown alga Hedophyllum sessile (C. Ag.) Setchell: variability with habitat, J. Exp. Mar. Biol. Ecol., 114, 143, 1987. 3. Charters, A.C., Neushul, M., and Barilotti, C., The functional morphology of Eisenia arborea, Proc. Int. Seaweed Symp, 6, 89, 1969. 4. Delf, E.M., Experiments with the stipes of Fucus and Laminaria, J. Exp. Biol., 9, 300, 1932. 5. Denny, M.W., Gaylord, B.P, and Cowen, E.A., Flow and flexibility — II — The roles of size and shape in determining wave-forces on the bull kelp Nereocystis luetkeana, J. Exp. Biol., 200, 3165, 1997. 6. Gaylord, B. and Denny, M.W., Flow and flexibility — I — Effects of size, shape and stiffness in determining wave-forces on the stipitate kelps Eisenia arborea and Ptery-gophora californica, J. Exp. Biol., 200, 3141, 1997. 7. Koehl, M.A.R. and Wainwright, B., Mechanical adaptations of a giant kelp, Limnol. Oceanogr, 22, 1067, 1977. 8. Koehl, M.A.R., When does morphology matter, Annu. Rev. Ecol. Syst, 27, 501, 1996. 9. Denny, M.W., Daniel, T.L., and Koehl, M.A.R., Mechanical limits to size in wave-swept organisms, Ecol. Monogr., 55, 69, 1985. 10. Gaylord, B., Blanchette, C.A., and Denny, M.W., Mechanical consequences of size in wave-swept algae, Ecol. Monogr., 64, 287, 1994. 11. Koehl, M.A.R., Mechanical design and hydrodynamics of blade-like algae, in 3rd Plant Biomechanics Conference, Spatz, H.C. and Speck, T., Eds., Georg Thieme Verlag, Stuttgart, 299, 2000. 12. Koehl, M.A.R., How do benthic organisms withstand moving water? Am. Zool., 24, 57, 1984. 13. Rousseau, F. and De Reviers, B., Phylogenetic relationships within the Fucales (Phaeophyceae) based on combined partial SSU+LSU rDNA sequence data, Eur. J. Phycol, 34, 53, 1999. 14. Naylor, M., The New Zealand species of Durvillea, Trans. Roy. Soc. New Zealand, 80, 277, 1953. 15. Hay, C.H., Durvillaea, in Biology of Economic Algae I, Akatsuka, I., Ed., SBS Academic Publishing, the Hague, 1994, p. 353. 16. Smith, J.M.B. and Bayliss-Smith, T.P, Kelp-plucking — coastal erosion facilitated by bull-kelp Durvillaea antarctica at sub-Antarctic Macquarie-Island, Antarct. Sci., 10, 431, 1998. 17. Hay, C.H., Growth mortality, longevity and standing crop of Durvillaea antarctica (Phaeophyceae) in New Zealand, Proc. Int. Seaweed Symp., 9, 97, 1979. 18. Wing, S.R., Leichter, J.J., and Denny, M.W., A dynamic model for wave-induced light fluctuations in a kelp forest, Limnol. Oceanogr., 38, 396, 1993. 19. Harder, D.L., Hurd, C.L., and Speck, T., Biomechanics of sympatric macroalgae in the surf zone of New Zealand and Helgoland, Germany, in 3rd Plant Biomechanics Conference, Spatz, H.C. and Speck, T., Eds. Georg Thieme Verlag, Stuttgart, 287, 2000. 20. Niklas, K.J., Plant biomechanics: An Engineering Approach to Plant Form and Function, The University of Chicago Press, Chicago, 1992. 21. Hoerner, S.F., Fluid-Dynamic Drag, Hoerner, S.F., Brick Town, NJ, 1965. 22. Harder, D.L. et al., Reconfiguration as a prerequisite for survival in highly unstable flow-dominated habitats, J. Plant Growth Reg., 23, 98, 2004. 23. Denny, M.W., Biology and the Mechanics of the Wave-Swept Environment, Princeton University Press, Princeton, NJ, 1988. 24. Vogel, S., Drag and reconfiguration of broad leaves in high winds, J. Exp. Bot., 40, 941, 1989. 25. Vogel, S., Drag and flexibility in sessile organisms, Am. Zool., 24, 37 1984. 26. Stevens, C.L., Hurd, C.L., and Smith, M.J., Field measurement of the dynamics of the bull kelp Durvillaea antarctica (Chamisso) Heriot, J. Exp. Mar. Biol. Ecol., 269, 147, 2002. 27. 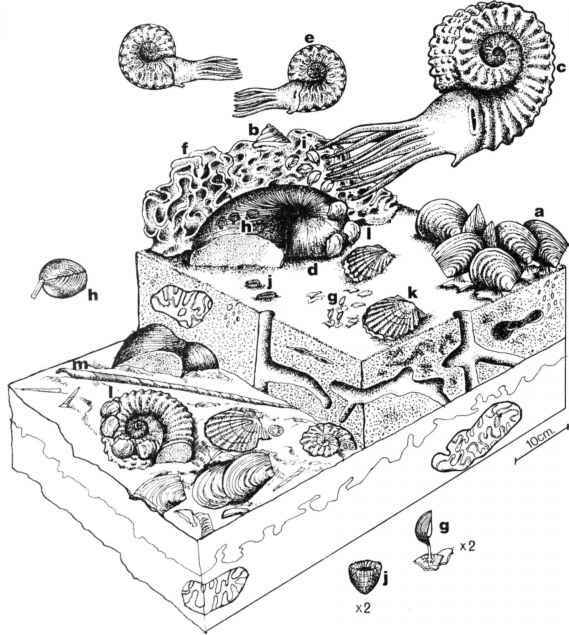 Koehl, M.A.R., Jumars, PA., and Karp-Boss, L., Algal biophysics, in Out of the Past: Collected Reviews To Celebrate the Jubilee of the British Phycological Society, Norton, T.A., Ed., The British Phycological Society, Belfast, 115, 2003. 28. Hurd, C.L. et al., Visualization of seawater flow around morphologically distinct forms of the giant kelp Macrocystis integrifolia from wave-sheltered and exposed sites, Limnol. Oceanogr., 42, 156, 1997. 29. Koehl, M.A.R. and Alberte, R.S., Flow, flapping, and photosynthesis of Nereocystis luetkeana: a functional comparison of undulate and flat blade morphology, Mar. Biol., 99, 435, 1988. 30. Koehl, M.A.R., Seaweeds in moving water: form and mechanical function, in On the Economy of Plant Form and Function, Givinish, T.J.L., Ed., Cambridge University Press, Cambridge, 1986, p. 603. 31. Hurd, C.L., Water motion, marine macroalgal physiology, and production, J. Phycol., 36, 453, 2000. 32. Niklas, K.J., Petiole mechanics, light interception by lamina, and economy in design, Oecologia, 90, 518, 1992. 33. Carrington, E., Drag and dislodgment of an intertidal macroalga: consequences of morphological variation in Mastocarpus papillatus Kützing, J. Exp. Mar. Biol. Ecol., 139, 185, 1990. 34. Speck, O., Field measurements of wind speed and reconfiguration in Arundo donax (Poaceae) with estimates of drag forces, Am. J. Bot., 90, 1253, 2003. 35. Harder, D.L. et al., Comparison of mechanical properties of four large, wave-exposed seaweeds, in preparation. 36. Denny, M.W. et al., Fracture mechanics and the survival of wave-swept macroalgae, J. Exp. Mar. Biol. Ecol., 127, 211, 1989. 37. Denny, M.W. et al., The menace of momentum — dynamic forces on flexible organisms, Limnol. Oceanogr., 43, 955, 1998.